From U.S. Route 24 (Oak Street) in Fairbury, turn north on 4th Street. Travel 3 blocks to Locust Street ("Main Street"). Turn left onto Locust. 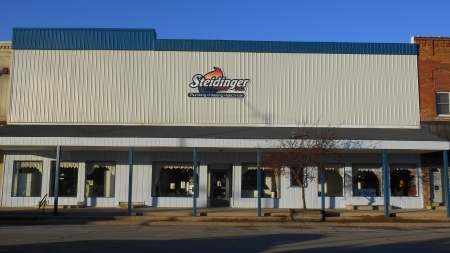 Steidinger Brothers Plumbing, Heating and Electrical is in the middle of the block on the north side of the street.